Last week TOTAL’s Evolution ECO Challenge Team joined me for a day to find out a bit more about ‘the WREN design’ and how the environment is central to our designs. I love what they have captured: focusing on myself and Fatima (my right-hand seamstress) in our work spaces (aka homes), you get an honest view of what we think, what we do and where we do it. This video also shows you how the PPC Cement Laptop Bags are carefully stitched and assembled as Fatima, being as skilled as she is, can talk and sew at the same time. I on the other hand take at least a day to stitch a bag (and that is without any disruptions)! This video is part of TOTAL’s Fresh Air campaign where they show support for designers/Eco Pioneers who are being environmentally aware. 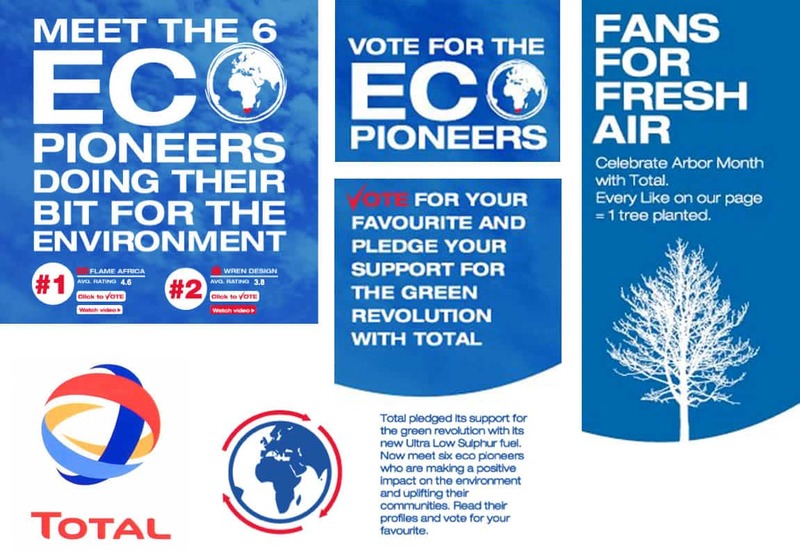 You can vote (so please VOTE for THE WREN DESIGN) and become a FAN on Facebook and Total South Africa will commit to planting a tree. So, if anything, plant a tree with a click of a button and feel good this Monday. This entry was posted in Blog and tagged about wren, eco challenge, eco pioneers, eco south african designers, facebook, Featured, how the ppc cement laptop bag is made, plant a tree, sa designers, sustainable, Total evolution, total evolution eco challenge, total petrol, video.